Purpose -built to distance itself from the typical long-range rifle. 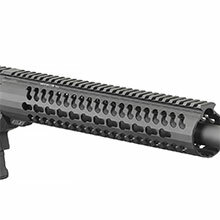 The Ruger Precision Rifle is a highly configurable, in-line recoil path, bolt-action rifle. Available in .308 Win., 6.5 Creedmoor and .243 Win., the Ruger Precision Rifle offers outstanding accuracy and long-range capability. 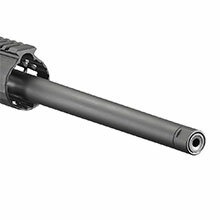 Medium contour (.75 at the muzzle) barrel features 5/8-24 threads. Thread protector installed. Highly accurate Ruger cold hammer-forged 4140 chrome-moly steel barrel with 5R Rifling at minimum bore and groove dimensions, minimum headspace and centralised chamber. 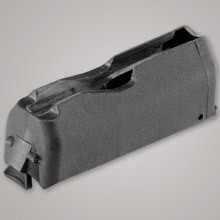 Magazine well front is contoured for a positive grip for bracing against shooting supports. 20 MOA Picatinny rail secured with four, #8-40 screws for increased long-range elevation capabilities. 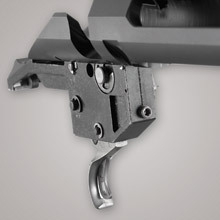 Ruger Marksman Adjustable trigger is externally adjustable with a pull weight range of 2.25 to 5.0 lbs. Oversized bolt handle for positive bolt manipulation, with 5/16-24 thread for easy replacement. 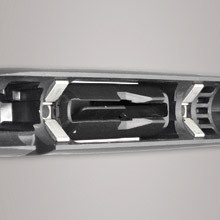 Bolt disassembly tool is stored in the bolt shroud for easy striker channel cleaning. 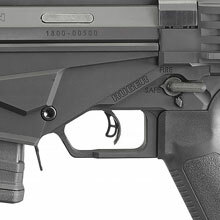 In-line recoil path manages recoil directly from the rear of the receiver to the buttstock providing maximum accuracy potential. The 100% American made Ruger American Rifle® is another engineering innovation from Americas leading firearms manufacturer. The Ruger American Rifle® combines the rugged reliability of Rugers past with the award winning ingenuity featured in so many of Rugers new products. The American Centrefire has an ergonomic and lighweight stock designed for quick easy handling blends a classic look with modern forend contouring and grip serrations. 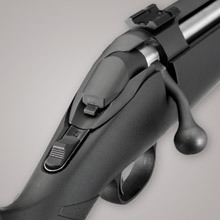 The Ruger Marksman Adjustable trigger offers a crisp release with a pull weight that is user adjustable between 3 and 5 pounds, allowing shooters to make that perfect shot. Available in a wide variety of calibres and comes with a Black Composite Stock, Blued Barrel and included Bases. The 100% American made Ruger American Rifle® is another engineering innovation from Americas leading firearms manufacturer. The Ruger American Rifle® combines the rugged reliability of Rugers past with the award winning ingenuity featured in so many of Rugers new products. The American Predator has an ergonomic and lighweight stock designed for quick easy handling blends a classic look with modern forend contouring and grip serrations. 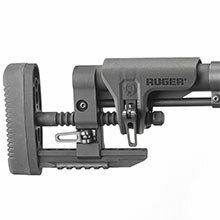 The Ruger Marksman Adjustable trigger offers a crisp release with a pull weight that is user adjustable between 3 and 5 pounds, allowing shooters to make that perfect shot. 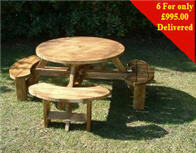 Available in a wide variety of calibres and comes with a Black Composite Stock, Stainless Barrel and included Bases. Available in 5.56 NATO/300 BLK calibres and comes with a Flat Dark Earth Composite Stock, Blued Short Barrel and included Rail. Available in a wide variety of calibres and comes with a Moss Green Composite Stock, Blued Barrel and included Rail.